Well, that's her new profession. Guess what was her oldest profession. 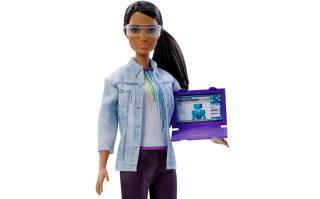 Barbie is looking stylish while she works to automate your job out of existence. I heard they were considering a Kim Kardasian style physique, but they determined that the cost of extra materials needed to form the caboose would bankrupt the line.